Good morning! I know that I keep saying this but I cannot believe how fast this year has sped by. I cannot believe that today is New Years Eve. I feel like it was just yesterday I was celebrating 2015. I am taking a few days off so I thought I would wish you a happy and safe new years eve! I hope that you have a wonderful time whatever you do. 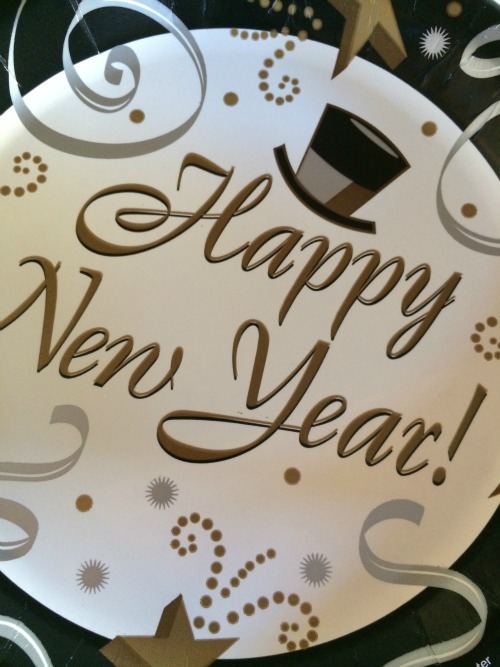 Looking forward to seeing you in 2016! Good morning! How are you? How was your Christmas holiday? Mine was fabulous; relaxing, restful and peaceful. For only the 3rd time in 20 years together, my husband and I spent Christmas alone and at home. We cooked baked, read, relaxed and did it all over again for a few days. We missed our families but unfortunately this year was not the year for us all to be together. 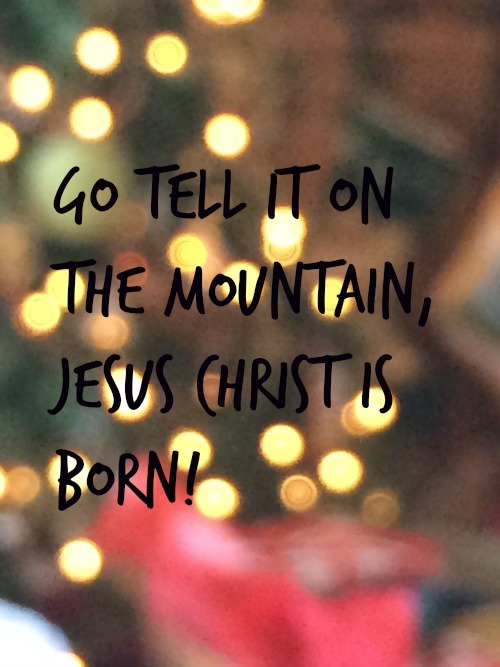 I already miss the "spirit" of Christmas, but I guess that is why they call it "the most wonderful time of the year" because it only happens once a year. 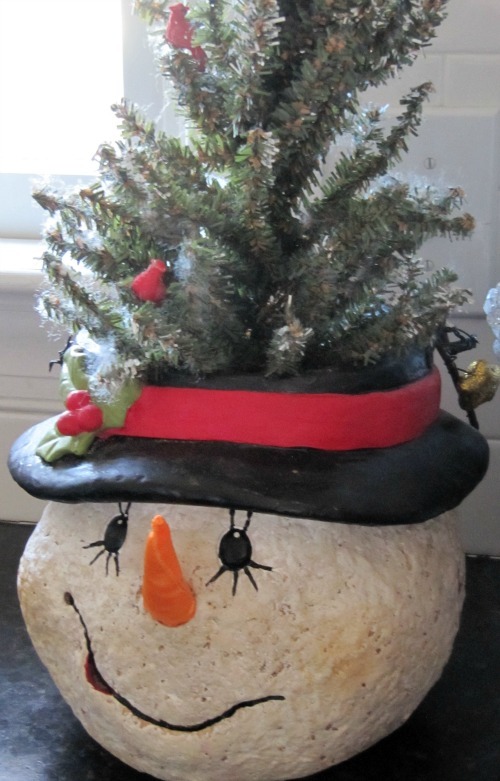 I am going to be savoring the last vestiges of the holiday season this week and getting ready to ring in the new year. 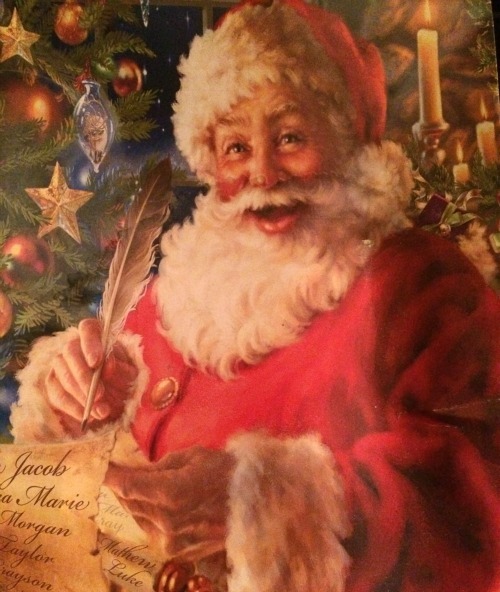 Did you enjoy your Christmas festivities? Were you able to be with your family and friends? 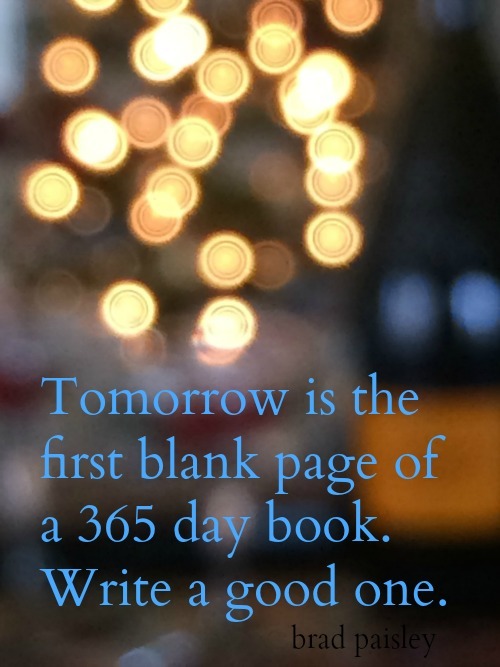 Are you ready to start the New Year? I have to be honest, I am ready to get back into my routine. I have eaten too much chocolate, drank too much champagne and have not worked out nearly enough. Add that to the endless hours spent watching Christmas shows and other things I do not normally watch; my mind, body and spirit are ready to reboot. Don't get me wrong, I have enjoyed every cup of cocoa, every piece(s) of chocolate and cookie(s) and hour(s) on the couch. I am just ready for all of the fabulous things that are awaiting me in the New Year. I hope that you have a fabulous week! 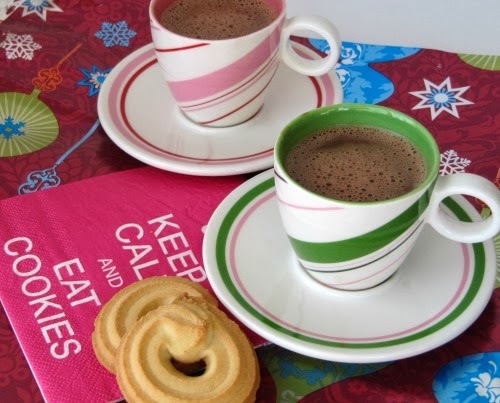 Enjoy your time with family and friends; the meals, the movies, the treats and more. 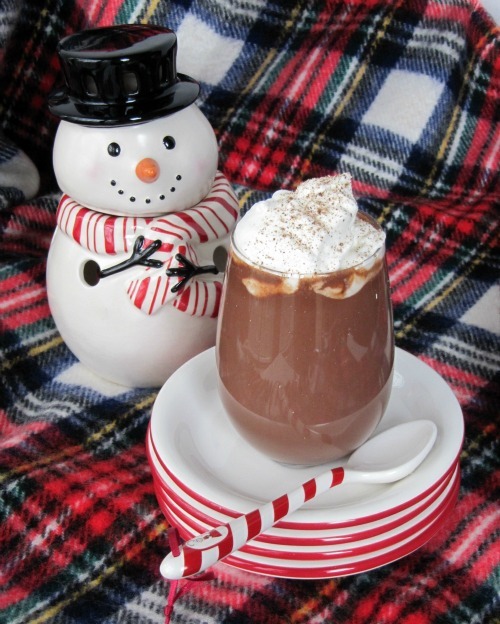 If you are looking for a few scrumptious hot chocolate recipes pop over to Once Upon A Chocolate Life for 10 of My Favorite Hot Chocolate Recipes. 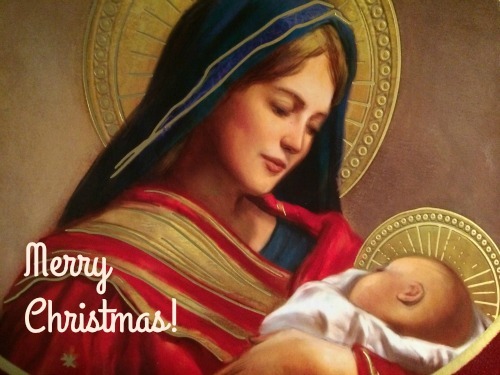 I hope that you find yourself surrounded today by the most precious Christmas gifts, family and friends. They are what today is all about. Have a magical and wonderful day! Good morning! Happy Christmas Eve. I hope that your week has been fabulous and that you are ready for Christmas. I am looking forward to a relaxing day today and tomorrow. Whatever is not done is not going to be and I am ok with that. I simply want to sit back savor the next two days with family and friends. 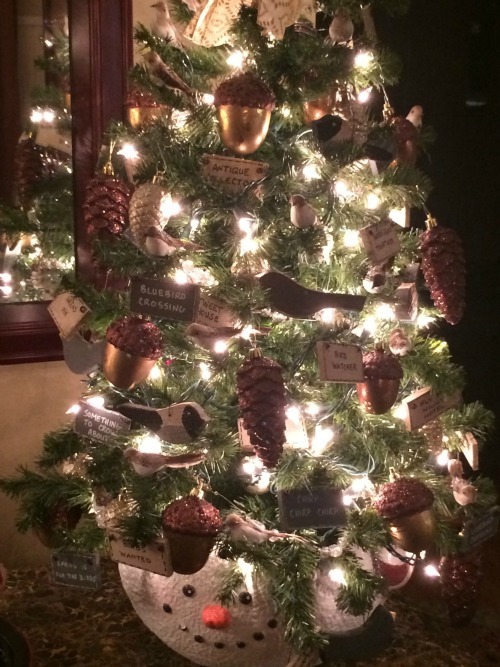 Legend has it that if you sit under a pine tree on Christmas Eve you can hear the angels sing. 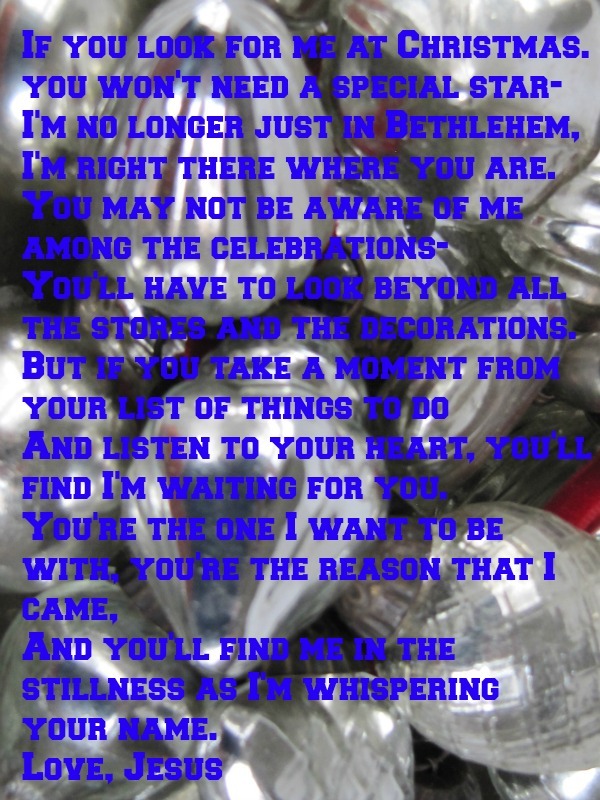 I will be sitting under my tree this evening hoping to hear the angels sing. What will you be doing? Whatever you are doing I hope that you are surrounded by the love of family and friends because at the end of the day that is all that matters. 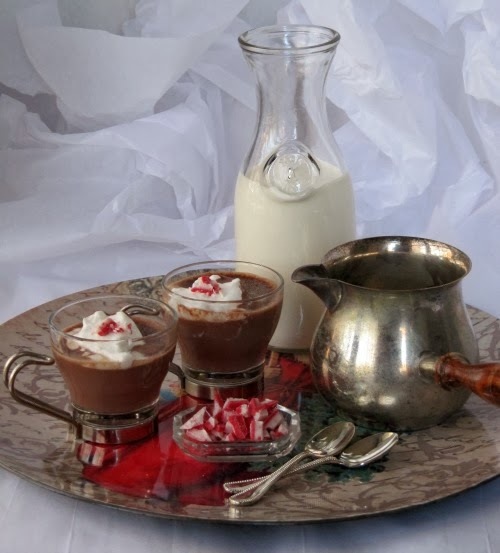 If you are looking for the perfect drink for Christmas Eve try one of my hot chocolate recipes from Once Upon a Chocolate Life. Good morning! I realize that Christmas is just a few days away but some people like to wait until the last minute to shop or make things. 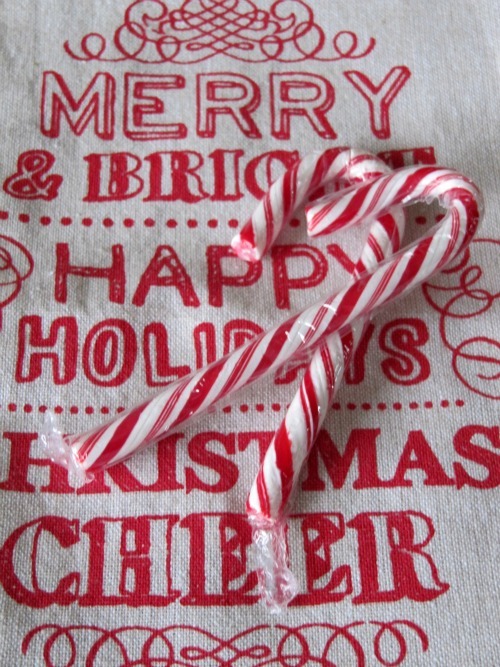 If you are one of those people here are a few of my favorite home-made gifts that are easy and if I do say so myself, DELICIOUS! 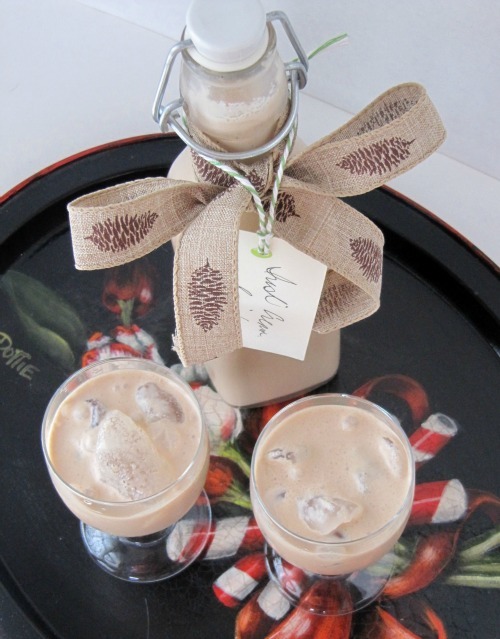 This year is the fist time that I have made my own Irish Cream and I have to tell you, it is so good I could have drank the entire bottle(s) myself. This version from Today's Creative Life is the one I used and it is rich, creamy, chocolaty and delicious. Make sure to make a double batch so that you can save some for yourself. 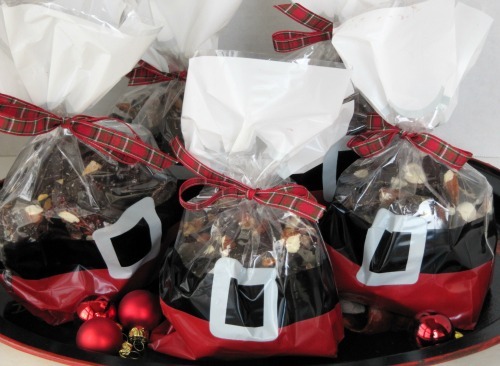 If you or your gift recipient is a chocolate lover than perhaps this easy and scrumptious Caramelized Almond Bark with Sea Salt is a better choice! 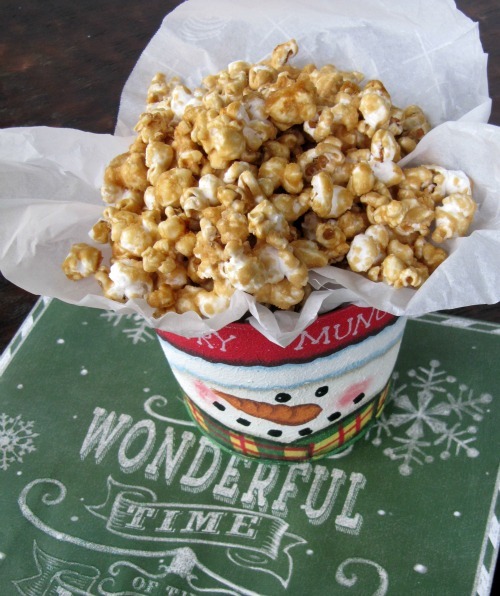 Or you could pop up a batch of Caramel Corn? 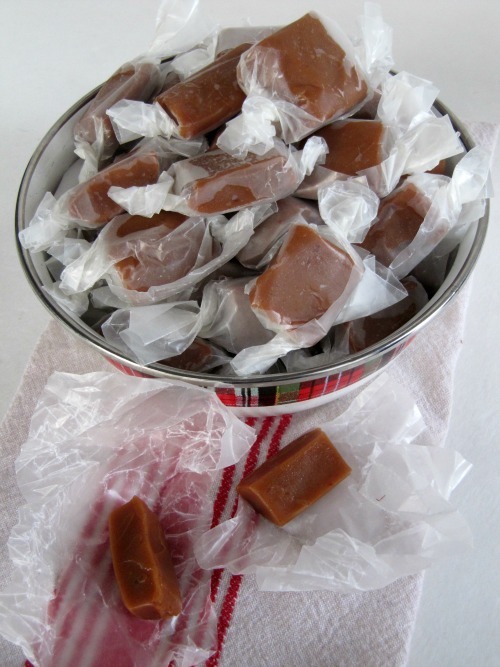 Perhaps a batch of Chewy Caramels? 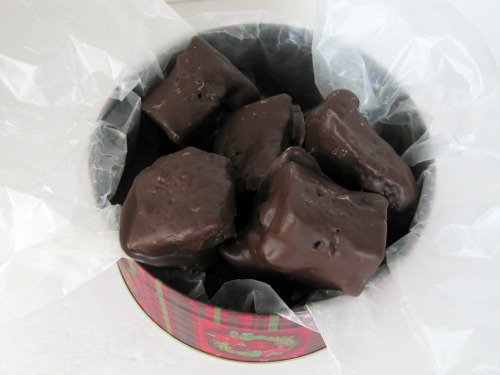 This Fairy Food or Sponge Candy is an easy and scrumptious treat too. 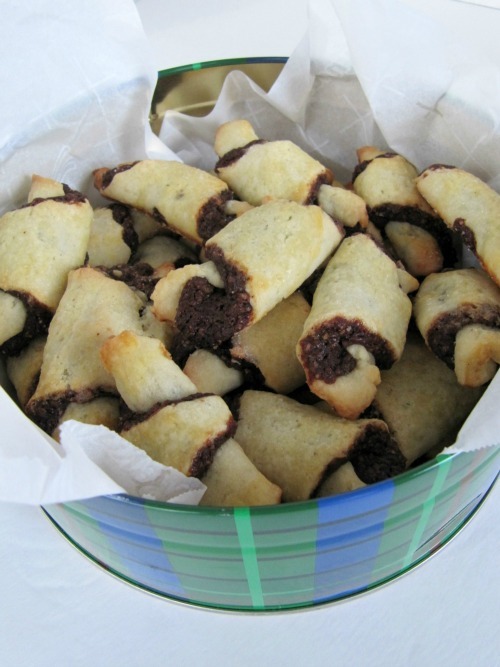 My favorite cookie to eat and give away at the holiday is this Chocolate Cranberry Rugulach, you can also make Raspberry and Apricot as well. Whatever you make I am sure that you friends and family will love it. Enjoy your holiday preparations and your day. Good morning! How was your weekend? Mine was busy, busy, busy. I cannot believe that Friday is Christmas! I feel like I have been so busy with preparations, travel and work that I have missed it. So this week I am determined to relax, and just be. The last packages are wrapped, the cookies, and chocolates were baked and made yesterday and are being shipped this morning, so now I can relax. I have a list of movies to watch, a few I have already watched this season, a few I have been saving for this week. 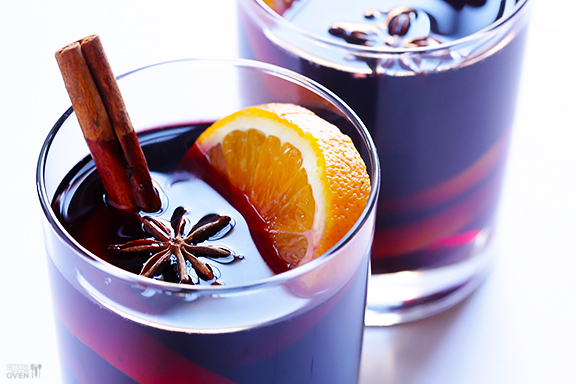 I cannot wait to have some mulled wine, or a cup of cocoa or two. To sit and read a couple of Christmas books. 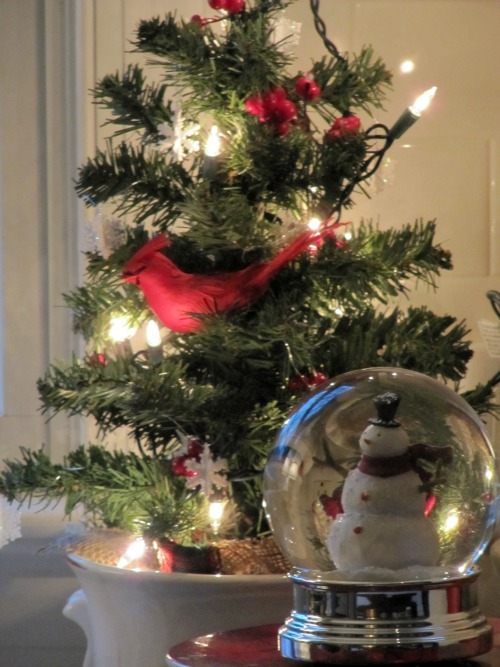 To enjoy my trees and decorations, while savoring the quiet. 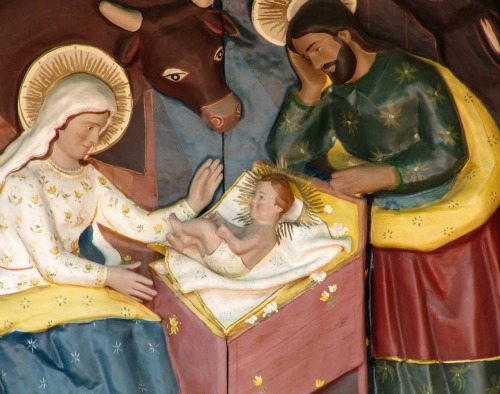 To wait for Santa and of course to celebrate the real reason for the season. I hope that you slow down this week, spend some time with family and friends and take it all in. The season will be over before we know it. Good morning! Have you had a good week? 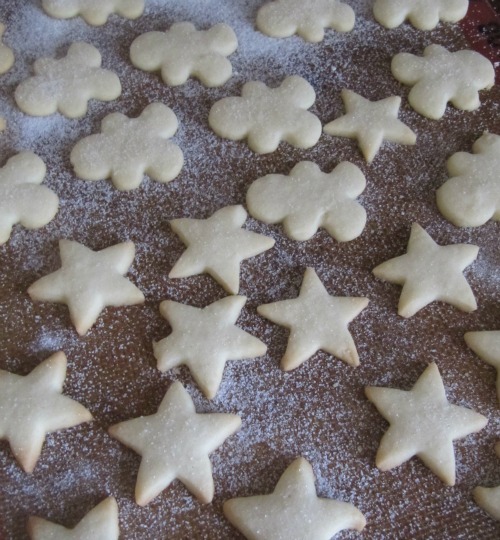 I am trying to recover from being away for the last 2 weeks and get my self in gear to bake for Christmas. 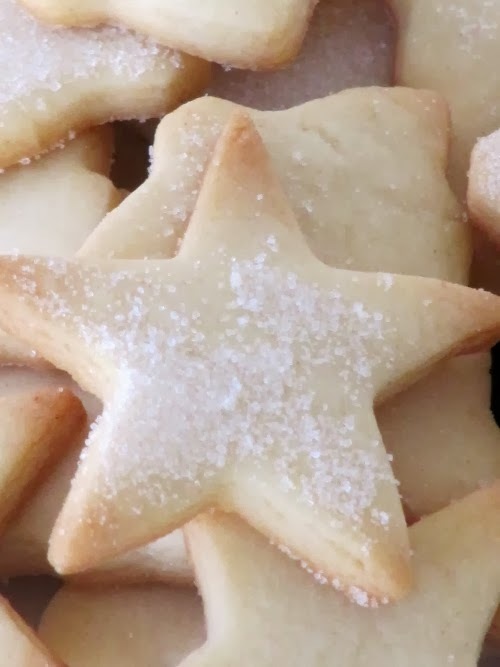 Apparently this morning I was doing something wrong because my "soft chewy caramels" turned into rocks and my sugar cookies that I have made for years were light, fluffy and airy and looked like blobs instead of trees. Hopefully I will have better luck this afternoon! In the meantime I have my mind on some other things like Christmas dessert, drinks and more. If you are looking for something to make for Christmas morning I think this Cinnamon Roll Wreath from The Kitchen looks perfect. 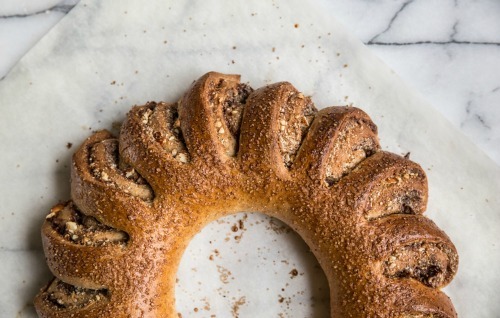 Or perhaps this Swedish Tea Ring from The Pastry Affair instead? 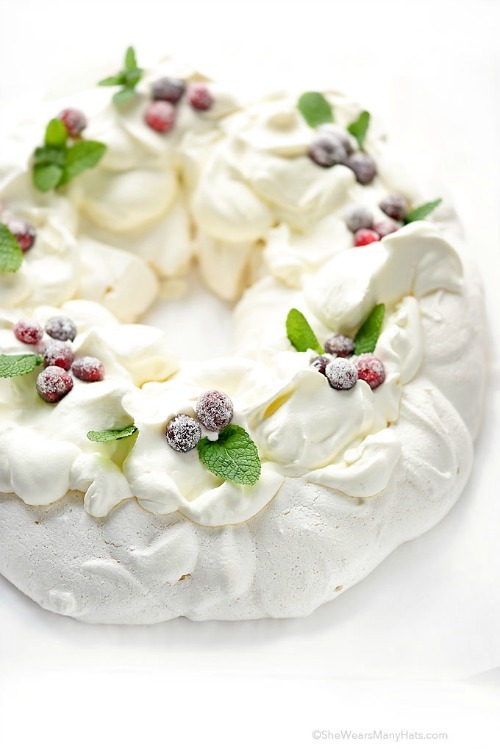 If you are in search of an easy Christmas dessert this Holiday Pavlova from She Wears Many Hats look and tastes delicious! This week I am looking forward to a glass or two of mulled wine and this recipe from Gimme Some Oven is one I think I may try out. 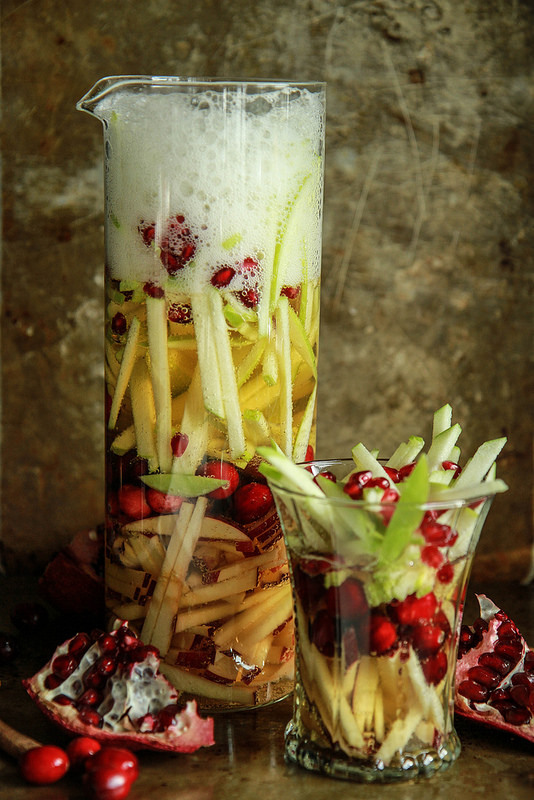 Or perhaps a little Christmas Sangria from Heather Cristo instead? 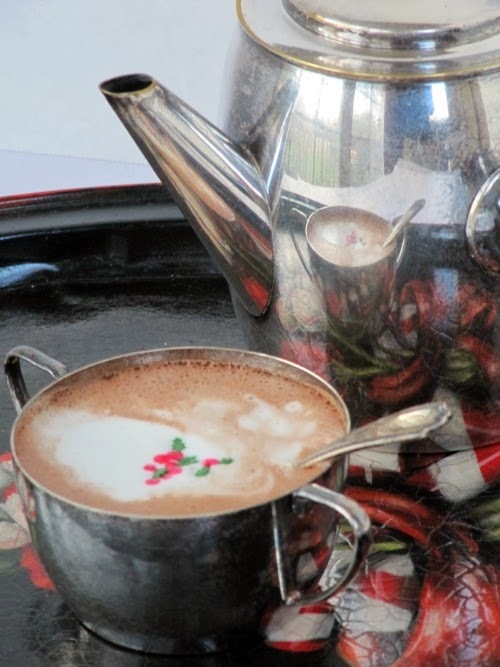 I personally will be drinking a little Polar Express Hot Chocolate on Christmas eve. 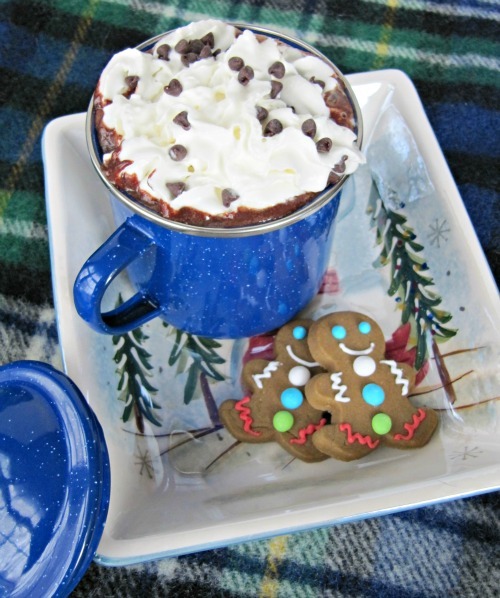 And maybe a little Peppermint Hot Chocolate as well. I will also be watching all of my favorite movies, White Christmas, Elf, The Christmas Carol and more. If you are looking for a movie or two that is not Christmassy, I recently watched two great movies flying home from Buenos Aries, A Little Chaos with Kate Winslet, about two landscape gardeners at Versailles. I loved it! And Testament of Youth, based upon the WWI memoir by Vera Brittain. What are you up to this weekend? I will be baking, hopefully with better results than this morning. Whatever you are up to I hope you have a fabulous weekend! Good morning! 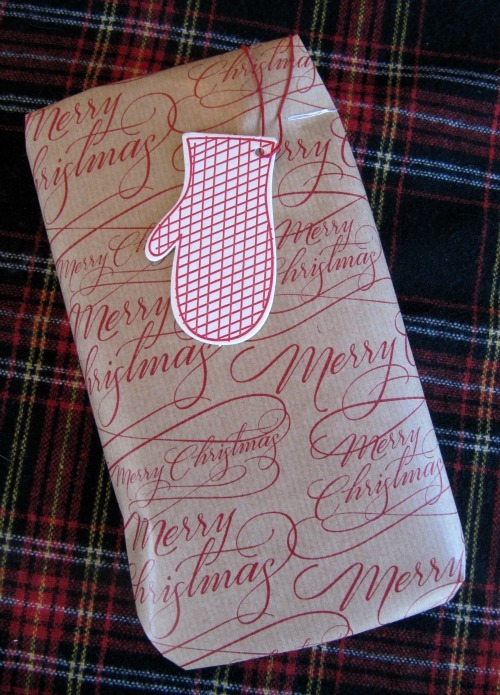 I don't know about you but books are one of my favorite things to give and to get for Christmas. There is nothing like sitting down after a long day and enjoy a beautiful book especially in the winter with a cup of steaming cocoa and a roaring fire. 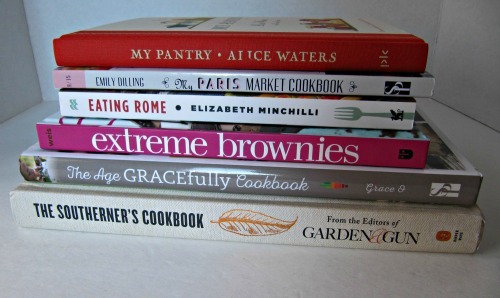 This list is a few of my favorite cookbooks books, from candy, to cheesecakes, to southern foods I think there is a little something for everyone! 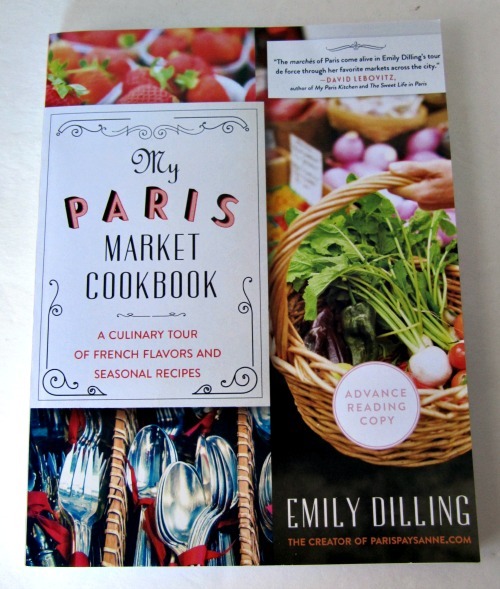 Based on Emily Dilling’s popular blog, parispaysanne.com, My Paris Market Cookbook: A Culinary Tour of French Flavors and Seasonal Recipes takes readers on a tour of Paris’s growing artisanal and craft food scene. Visits to markets with local farmers, coffee roasters, and craft brewers in the city offer insight into the exciting development of local food movements in the city of lights and its surrounding region. Complete with seasonal recipes inspired by local products, farmers, chefs, restaurants, and cafés, My Paris Market Cookbook brings the experience of shopping for, and cooking with, fresh locally grown products into readers’ homes and kitchens. A guide for a new generation of culinary travelers, My Paris Market Cookbook provides curious cooks and avid Francophiles with an unique itinerary for rediscovering the city, including tips on how to find the best off-the-beaten path natural wine bars, craft breweries, urban gardens, and farm-to-table cafés and restaurants. It’s the perfect handbook for travelers, food lovers, or anyone visiting or living in France—and those of us who just want to cook and eat like we do! I have been traveling each year to Paris since I was 16 and I can never get enough of it. The sights, sounds and of course the food. This little book written by fellow blogger Emily Dillling is a gem for those who love Paris as it is part guidebook and part cookbook. Arranged by season, Emily shares not only the markets of Paris(including addresses) but iconic French recipes as well. Elizabeth Minchilli has been eating her way through Rome since she was 12 years old. 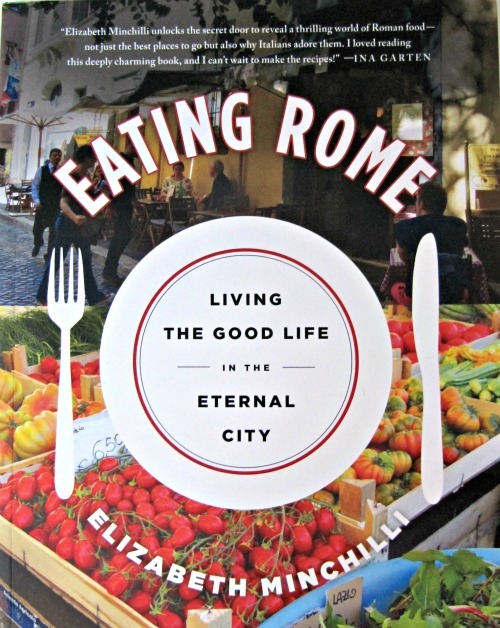 Eating Rome, based on her popular blog Elizabeth Minchilli in Rome, is her homage to the city that feeds her, literally and figuratively. Her story is a personal, quirky and deliciously entertaining look at some of the city's monuments to food culture. Join her as she takes you on a stroll through her favorite open air markets; stop by the best gelato shops; order plates full of carbonara and finish the day with a brilliant red Negroni. Coffee, pizza, artichokes and grappa are starting points for mouth-watering stories about this ancient city. Illustrated with Minchilli's beautiful full-color photos and enriched with her favorite recipes for Roman classics like vignarola, carciofi alla romana and carbonara, Eating Rome is the book that you want if you are planning your first trip to Rome or if you have been to Rome a dozen times. And even if you just want to spend a few hours armchair traveling, Elizabeth Minchilli is the person you want by your side. I have been to Rome several times and all I can say is I wish I had this book with me in the past. Elizabeth Minchilli is another fellow blogger who has parleyed her beautiful, informative blog into a book. Whether you are traveling to Rome in the future or just an armchair traveler this book is for you. 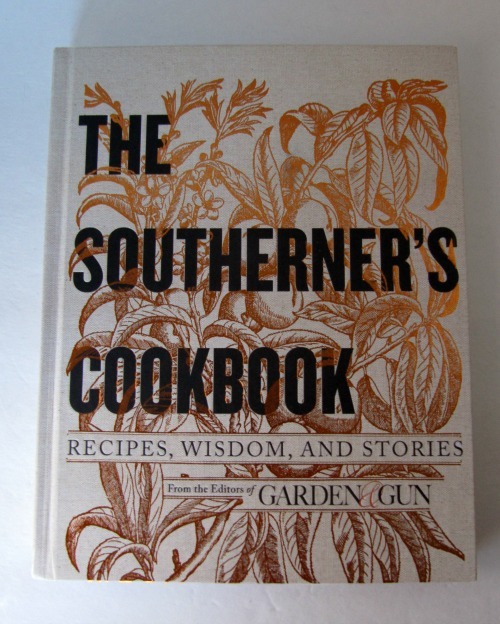 It is filled with recipes, information and the stories of Elizabeths' life. You will learn that Italians do eat pasta everyday but they only eat a small amount, as well as where to get the best gelato and why not to eat in public, all useful information if you will be visiting Rome in the near future. If you have followed my blog for any length of time than you know I love baking, cakes, cookies, brownies and more. In the past I have baked a few cheesecakes with results that have been hit or miss. After reading this book I can say that everything I have made has turned out perfect! 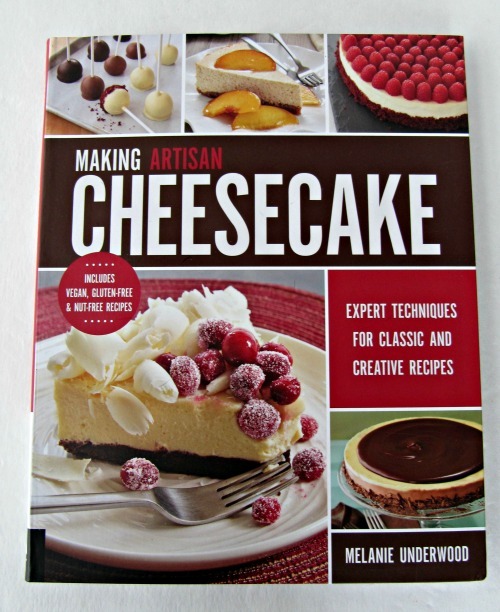 Melanie provides you with everything you need to know to make a beautiful and delicious cheesecake. In the first thirty pages you learn how to make crusts, the batter and how to cook each cake so that it comes out perfect. 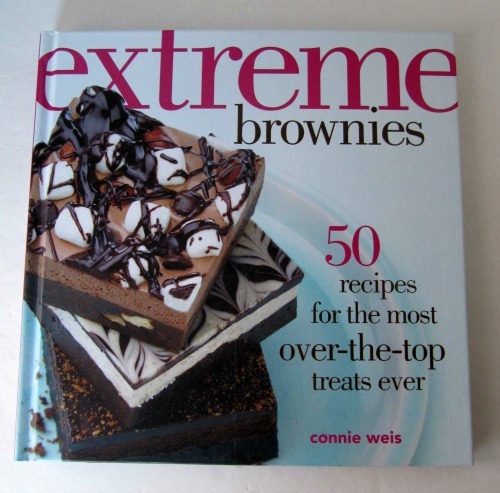 Extreme Brownies is a collection of 50 wildly creative, extensively tested recipes from pastry chef and restaurant consultant Connie Weis, owner of brownie business Brownies & S'more in Virginia Beach, VA. Connie believes that brownies can't just look great, they have to taste great and have the right texture, making them above all, calorie-worthy. Pastry chef techniques and flavors are incorporated into detailed easy-to-follow recipes, elevating brownies and blondies into baked goods that could easily be morphed into high-end restaurant desserts, as she has done many times. Because Connie is such a precise and careful baker, the recipes in this scrumptious book make it possible for home bakers to reproduce without difficulty brownies such as her best-selling Caramel-Stuffed Sea Salt Brownies, her signature "PMS" Brownies, and many others, including Spotted Cow Brownies, Black Walnut Fudge Frosted Brownies, Espresso Cacao Nib Coffee Marshmallow Brownies, Holy Heavenly Hash Brownies, S'more Galore Brownies, Harlequin Truffle Brownies, Raspberry Ripple Cheesecake Brownies, Triple Blueberry White Chocolate Blondies, Lemon Mascarpone Blondies, and many others. Also included is TODAY show host Hoda Kotb's favorite Peanut Butter Cup Brownies. I LOVE this book! I am frequently in search of a brownie recipe to try and this book has 50 fabulous recipes that I am slowly making my way through. I have made the Cookies and Cream Brownies as well as Connie's PMS Brownies and they are fabulous. If you like chocolaty, fu dgy brownies than this may e a book for you to try. 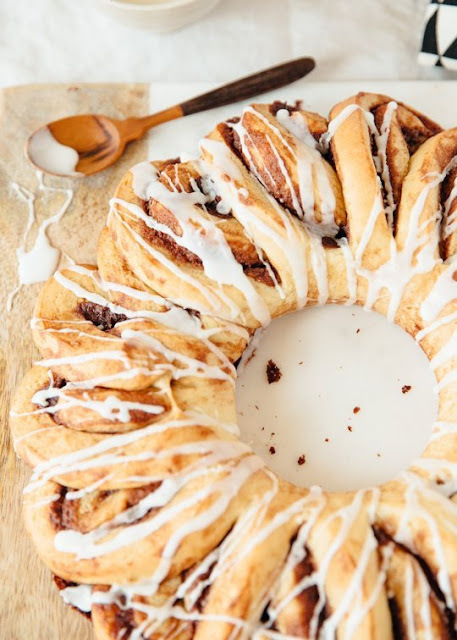 I have long been a fan of Sally's blog, Sally's Baking Addiction, her beautiful photos and fabulous, and easy recipes. This book is for anyone that has a sweet tooth so it is perfect for me! 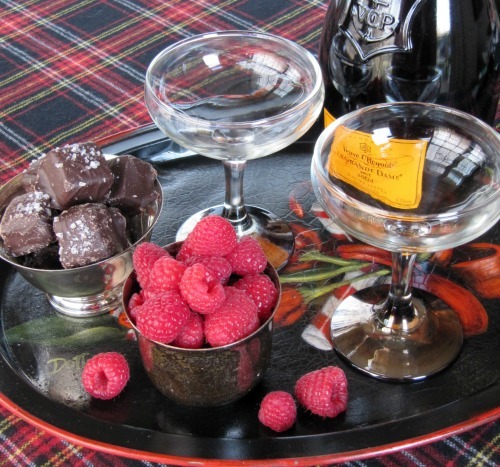 It is filled with easy recipes for truffles, caramels(my favorite), barks, brittles and more. 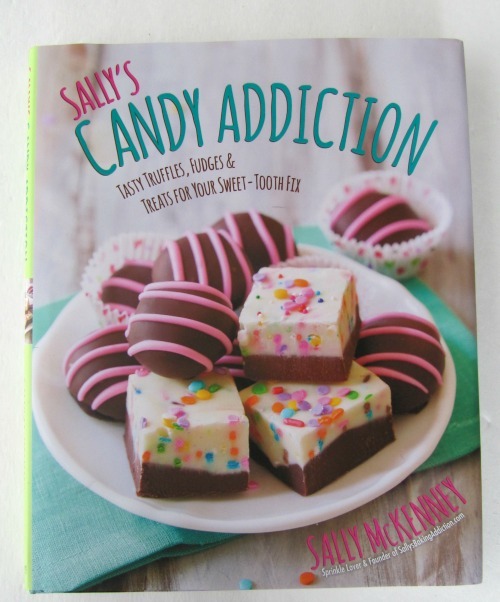 For those of you who have never made candy don't worry, Sally provides you with all of the information you need to know to make these recipes work, everything from how to temper chocolate, to using a candy thermometer and more. FoodTrients, originated by Grace O, is a unique program supported by current research that positions food as an anti-aging strategy for achieving sustainable health. A FoodTrient is her name for the natural anti-aging properties of food. 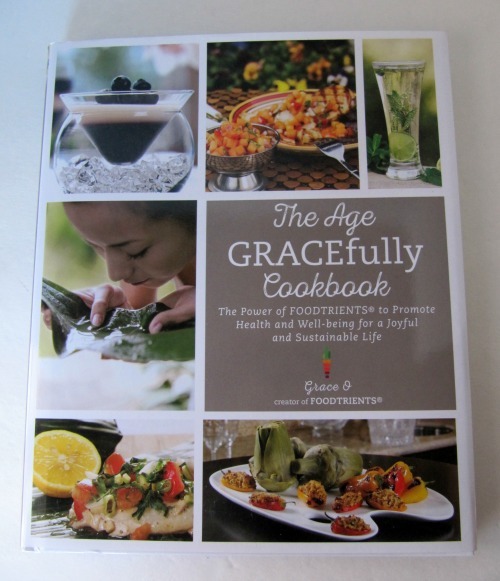 Delicious foods and rejuvenating nutrients combine to create Aging GRACEfully Cookbook, a collection of enticing and nourishing recipes that promote health and well-being for a joyful and sustainable life. The recipes are built on the foundations of modern scientific research and ancient knowledge of medicinal herbs and natural ingredients from cultures all around the world. Alice Waters is a chef, writer, food pioneer and owner of the acclaimed restaurant Chez Panisse. Her latest book, My Pantry:Homemade Ingredients That Make Simple Meals Your Own is beautiful little book that states first and foremost, "the secret to great meals is a well stocked pantry." I am primarily a baker but I am always open to trying new things, especially things I have never made before. 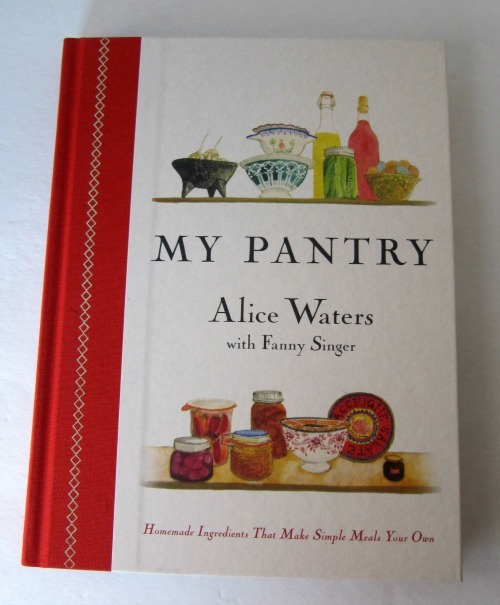 Illustrated by Fanny Singer (Alice's daughter) Alice shares recipes for spices, condiments, vinegars, beans, preserves, cheese and more. For the most part I loved this book, I loved getting know know this iconic chef and what inspires her to create delicious food in her own kitchen. However, I do think that some of the recipes, for instance making your own chèvre cheese are a little ambitious for most readers. For instance, where does one buy goats milk? 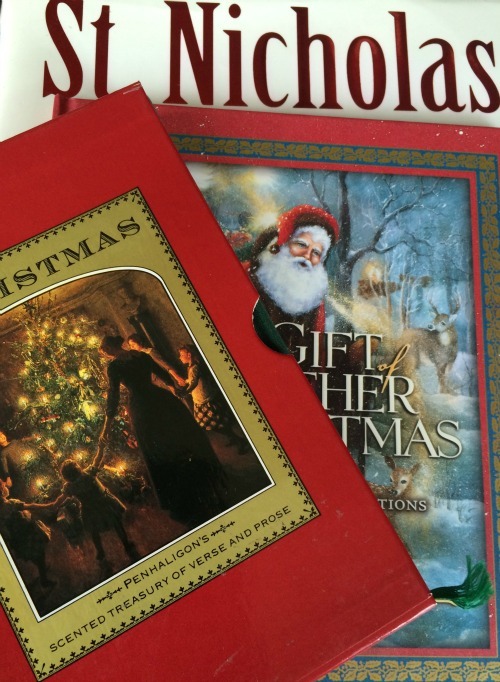 Do you have any books on your list that you are asking for for Christmas? Or that you are giving for Christmas? If so please share with us! I hope that you are enjoying these last 2 weeks before the holiday, before we know it it will have come and gone and we will be into a new year. 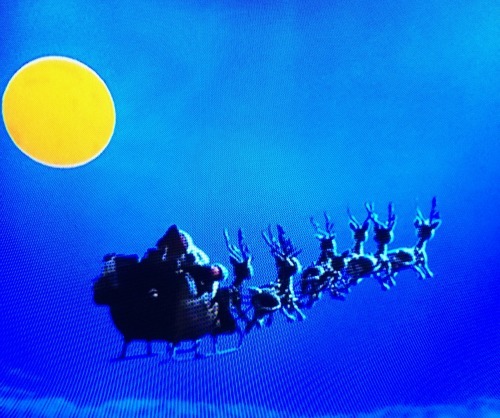 NORAD: Santa Tracker Starts Today!